Our AiM LCU-ONE Lambda Controller range of products allow you to perfectly tune the AFR of your engine to keep it at its strongest and significantly improving your car performances. 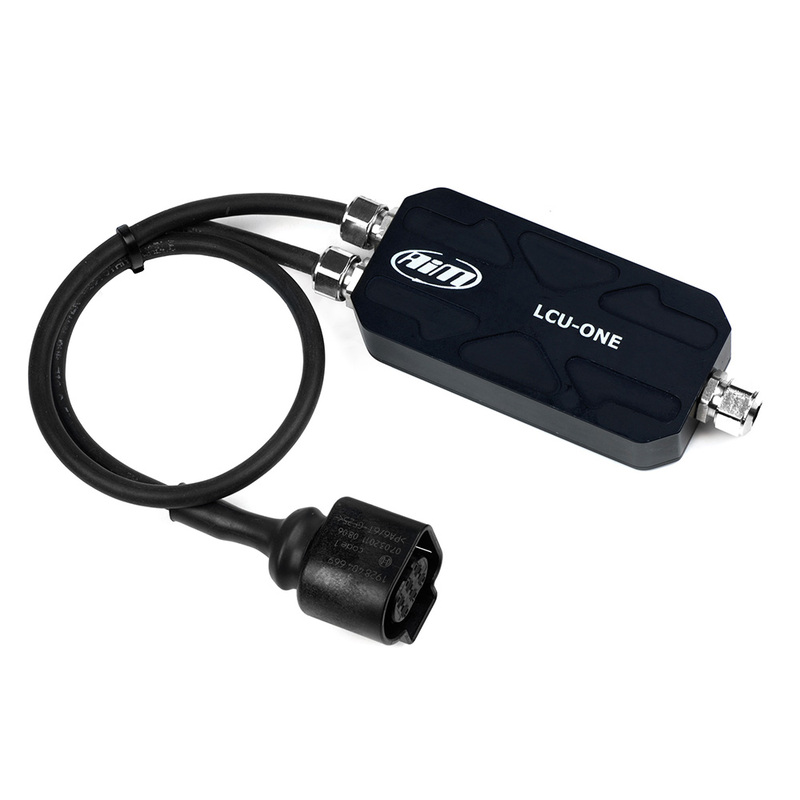 All LCU-ONE lambda controllers use a wide band Bosch LSU 4.9 probe for its ability to save all original calibrations for its throughout its life. In fact, the Bosch LSU 4.9 probe is designed and tested to last over 100,000 km on a stock car. The LCU-ONE is able to detect timely Lambda data from 0.65 to 1.6, offering you an extremely precise measurement, so it's incredibly useful for engine tuning. Through analysis of the remaining oxygen, the LCU-ONE controller can point out potential excessive or insufficient oxygen in the fuel supply, providing essential information for tuning. The configurability of Stoichiometric ratio allows the LCU-ONE to be used on anything from gas-powered engines to diesel- or on alternative fuel-powered ones (bio fuel, ethanol). LCU-ONE CAN+Analog is equipped with both CAN bus and analog output.